Luke's Legacy, The Luke Jones Foundation will use event proceeds to support its mission, which is to provide assistance to public safety and first responder families in times of tragedy and difficulty, tuition assistance for EMS and paramedic courses, and adoption assistance for families struggling to fund the adoption. Luke's Legacy mission is to make it a little easier for families to cope when tragedy strikes, create beautiful families and advance awareness in the firefighting profession. 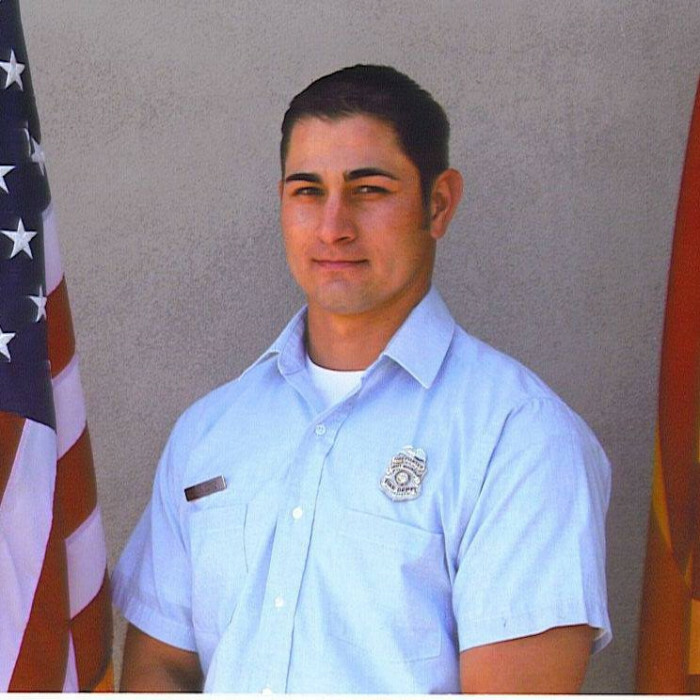 Luke Jones began his pursuit of firefighting when he was 18 years old and became a firefighter/paramedic for Daisy Mountain Fire Department in 2005 so he could serve his community and sacrifice for others. Luke had a passion for helping people, which made the fire service a perfect position for him. He would have given you the shirt off of his back, an ear to listen, a laugh to lift your spirit and the last dollar in his wallet if that is what was needed. He sacrificed for others and was honored to do so. At the age of 37, Luke's life was tragically taken on January 22, 2017, leaving behind a wife and a 1 year old daughter. In order to honor Luke, continue to serve his community, carry on his giving heart and try to turn this tragedy into something positive, Luke's Legacy, The Luke Jones Foundation was created. 5K Course Map - coming soon! 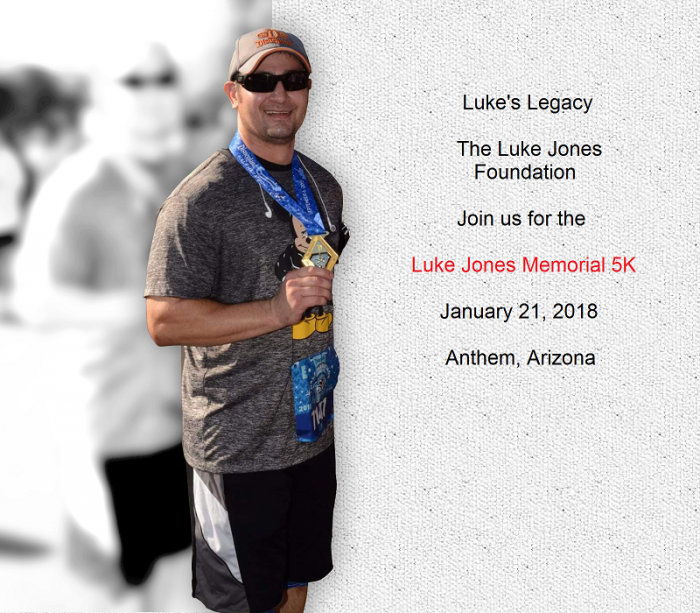 Join the Luke Jones Foundation for their inaugural Luke Jones Memorial 5K! This 5K event will be held on January 21, 2018 at Anthem Community Park.